Shannon Duffy achieved a Masters in Marriage and Family Therapy from the Adler University in addition to a Bachelors in Individualized Studies from the University of Minnesota. Shannon has been in practice for over a decade working with children, adolescents, adults, families, and couples. Professional experience entails working in private practice, community mental health agencies, school settings, and outpatient substance abuse, and immersion programs for eating disorders. 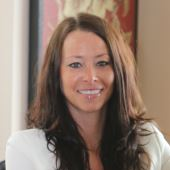 Shannon encompasses a strong passion for health and wellness and utilizes a holistic approach in addressing a client’s presenting concerns and goals for treatment. Areas of specialty include stress management, self-esteem building, anxiety, depression, relationship issues, eating disorders, food addictions, and weight loss therapy. Shannon utilizes Cognitive Behavioral Therapy, Dialectical Therapy, and Solution Focused Therapy for therapeutic modalities. As well as a strong emphasis on skill building for stress management, communication, and expression of thoughts and feelings for making positive changes. In addition, Shannon is an avid endurance runner and coach and provides sports performance counseling to athletes wanting to eliminate performance anxiety to achieve their athletic goals. Currently accepting new clients for individual, couple, and family therapy.